As the team physicians for KSU, Pinnacle sees a variety of injuries. 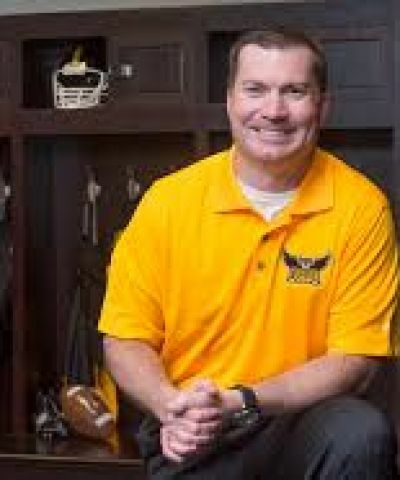 So when KSU Head Football Coach, Brian Bohannon started having pain in his right leg in the Spring of 2017, he knew exactly where to go. He had numbness and weakness and had difficulty sitting and fully extending his leg. He visited with the Pinnacle Team Doctor and then with the Pinnacle Physiatrist. It was determined that this pain was from repetitive use. He had had a lumbar epidural steroid injection but was still in pain. There was also no improvement in his motor skill ability. He then discussed with Pinnacle a possible surgical intervention. Coach Bohannon was diagnosed with a lumbar disc herniation and he and his Pinnacle Surgical Team all agreed that surgery was the best option to repair the problem. A few days later, right before the KSU Spring Football Game, Coach Bohannon had an L4-L5 hemilaminectomy surgical procedure. The procedure was performed in Pinnacle’s Outpatient Surgery Center in Woodstock. A hemilaminectomy is the removal of part of a vertebra called a lamina that has become damaged and pinches a local nerve root in the spinal canal. The lamina needs to be removed to relieve the pain and symptoms of the pinched nerve. This procedure only removes a portion of the lamina so to still maintain stability and create more space in the spinal canal. It releases the nerve tissue from the pressure.